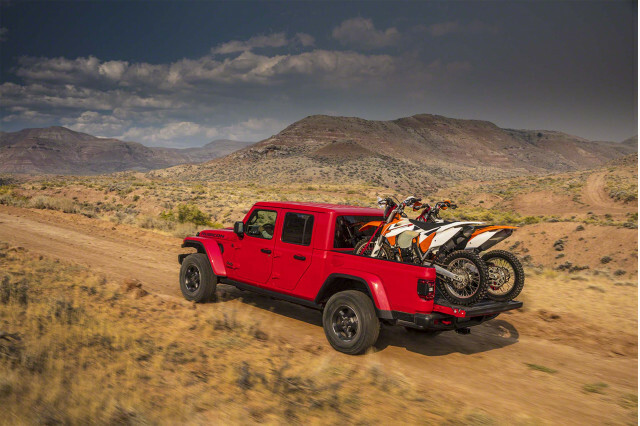 It’s hard to imagine two more versatile vehicles than the 2019 Toyota Tacoma and the 2020 Jeep Gladiator. These two pickup trucks offer seating for five in a pinch, plenty of storage, good towing ability, and serious off-road chops. 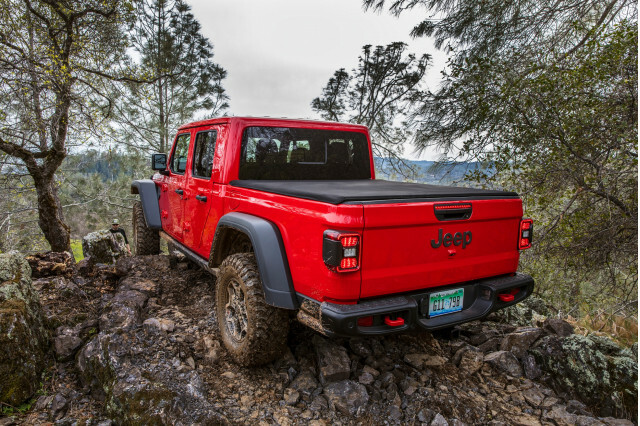 Neither is perfect, but we think the Jeep Gladiator is more honest about its intentions than the Toyota Tacoma. The 2020 Gladiator rates 5.2 out of 10 on our scale while the 2019 Tacoma scores 4.8. That’s a thin margin and both trucks are available as serious off-roaders in Gladiator Rubicon and Tacoma TRD Pro guise. It’s those two we’ve picked to compare here. 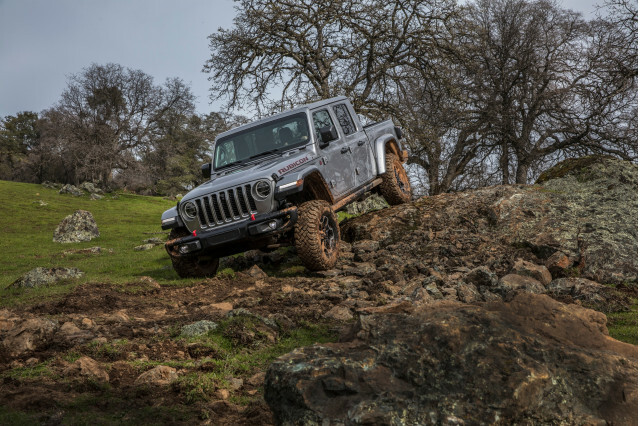 The Gladiator Rubicon takes all of the Jeep Wrangler Rubicon’s four-wheeling gear, stretches the wheelbase by about 19 inches, and slaps a 5-foot bed behind its rear seat. 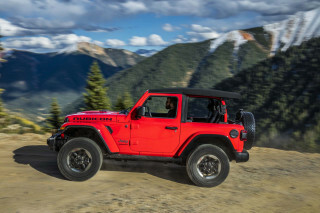 It’s not quite that simple, but the Gladiator Rubicon’s coil-sprung solid axles with Fox shocks, front and rear differential locks, automatic sway bar disconnects, and ultra-low crawling gear are proper off-road bona fides. Under the hood, you’ll find a 3.6-liter V-6 rated at 285 horsepower teamed to either a 6-speed manual transmission or an 8-speed automatic. The Tacoma TRD Pro’s off-road kit list isn’t as long, though it’s hardly lacking. Its suspension sits higher than stock Tacoma trucks and it rides on Fox coil-over struts up front and Fox dual-reservoir shocks teamed to a leaf-sprung solid axle out back. 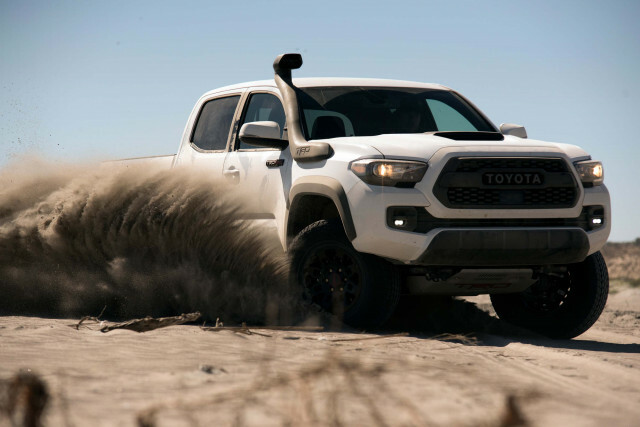 The TRD Pro’s locking rear differential works in conjunction with a handful of traction control modes and a loud but effective off-road cruise control. Under the Tacoma TRD Pro’s hood sits a 3.5-liter V-6 rated at 278 hp paired to 6-speed automatic or manual transmissions. 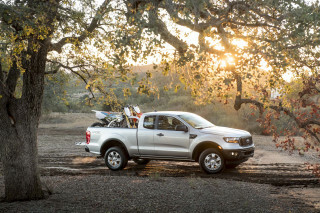 The Tacoma is rated at 18 mpg combined while the Gladiator comes in at 19 mpg combined. Both are impressive off-roaders, but the Wrangler gets our nod for its broader range of capabilities. The Tacoma’s suspension is unusually stiff, which works well at high speeds in sand but can be tiring on a washboard road to a campsite or fishing spot. Both trucks have a lot of ground clearance, but the Gladiator Rubicon’s 11.1 inches tops the Tacoma TRD Pro’s 9.4-inch clearance. When it comes to rock crawling, we prefer the Gladiator’s solid axles and locking differentials for their unmatched articulation and traction. Even the Toyota’s rock-crawling traction-control mode doesn’t match the Jeep. Where the Tacoma nudges ahead is in day-to-day comfort, although it’s hardly a sweep. 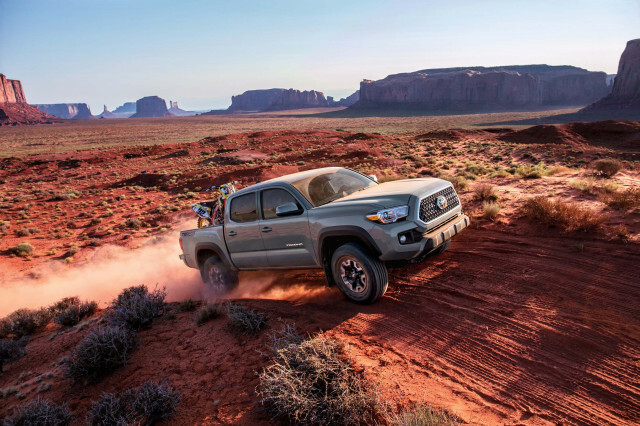 The Tacoma’s ride may be stiffer than the Gladiator’s, but the Toyota is better controlled and its steering requires far fewer corrections at highway speeds. The Tacoma is also about 6 inches shorter than the Gladiator and its turning diameter is 4 feet smaller. That’s as beneficial off-road as it is on. The Gladiator is tops when it comes to towing, albeit with a big asterisk. With the automatic, it’s rated to lug 7,000 pounds. Stick with the stick—the manual transmission—and the Gladiator Rubicon is rated at just 4,500 pounds. The Tacoma is rated to tow 6,400 pounds no matter which transmission is bolted in. 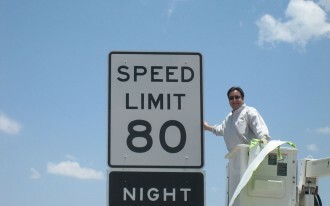 Both trucks’ bed payload ratings are between 1,150 and 1,200 pounds. The Tacoma’s bed is composed of steel and has a composite inner section that should resist dents and rust better than the Gladiator’s all-steel bed. The Tacoma’s low roof and high floor mean that occupants will find themselves stretching their legs out and they may brush their heads against the headliner. Combined with front seats that aren’t adjustable for height (though the driver’s will be for 2020) and a high hood that compromises outward vision and the Tacoma can feel confining. The Gladiator is more spacious, especially with its roof pulled off. The standard cloth roof slides backward with ease and even the optional composite hardtop has three removable panels for endless head room. The Gladiator’s front seats sit upright and the driver’s throne is height-adjustable. Leg room is subpar, but outward vision is better than in the Tacoma. 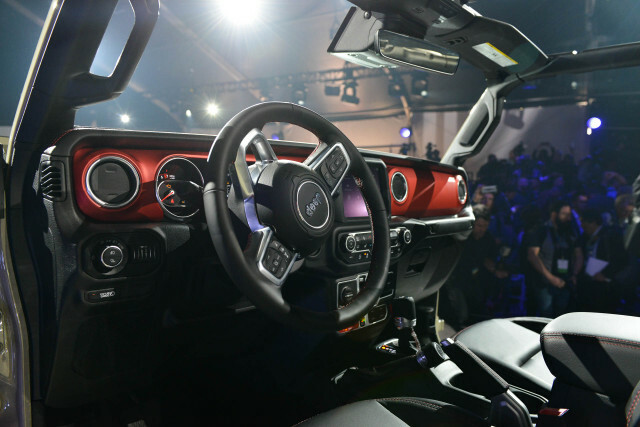 Rear-seat riders will find smaller door openings in the Jeep but considerably more real-world leg room. On paper, the Jeep has 6 inches more leg room than the Toyota, but it feels like even more because the Gladiator’s rear bench sits higher off the ground than the Tacoma’s. Feature-wise, it’s a close one. 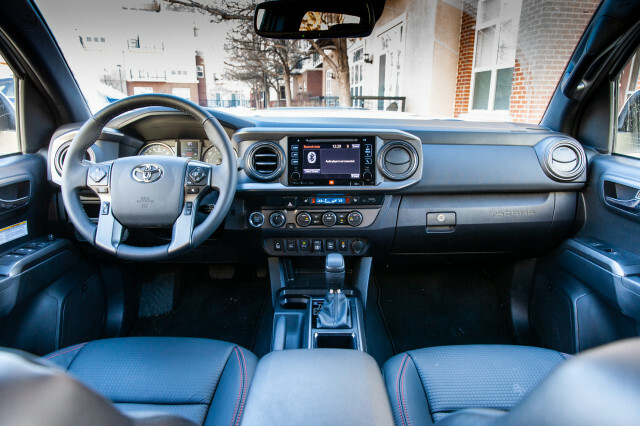 The Tacoma TRD Pro costs about $44,000 and comes well-equipped with active safety tech, adaptive cruise control, a 7.0-inch touchscreen for infotainment, and leather seats that are heated up front. Adding the automatic transmission bumps the price to about $46,600. The base Gladiator Rubicon costs $45,000. Add active safety gear, upgraded infotainment, and a hardtop, and leather seats, and the Gladiator’s price swells to $50,000. An automatic transmission costs $2,000 more. It’s hard to pick a favorite between these two. The Jeep has more personality, but it’s expensive and its size may pose a challenge for many garages. On the other hand, the stiff ride and lackluster interior space of the Toyota are hard to overlook. 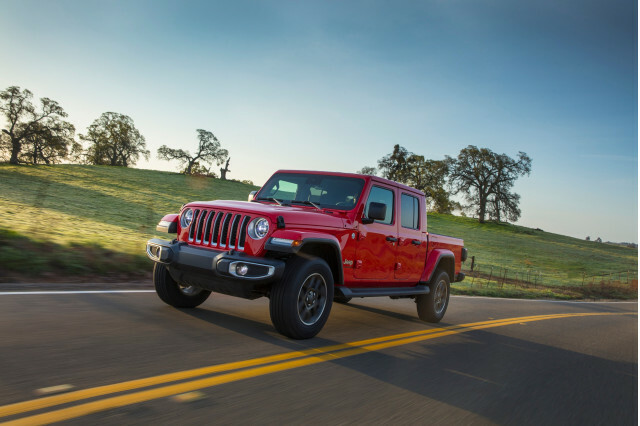 Our money—and it’d take a lot of it—would be on the Jeep Gladiator. The 2019 Toyota Tacoma has distinctive styling that’s not to everyone’s taste. The 2019 Toyota Tacoma is ready to tackle just about anything, but rivals have a more composed ride. The 2019 Toyota Tacoma’s ability to haul passengers around is surprisingly compromised. The 2019 Toyota Tacoma comes standard with laudable active safety tech. The 2019 Toyota Tacoma has breadth but not depth when it comes to its features. The 2019 Toyota Tacoma’s fuel consumption is typical for a mid-size pickup truck. We have sent your request for price quotes on the 2019 Toyota Tacoma and 2020 Jeep Gladiator to the dealers you requested. They should be in touch shortly. 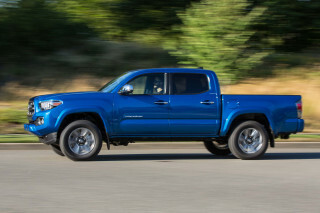 Your request for a fast, free price quote on a 2019 Toyota Tacoma and 2020 Jeep Gladiator is in process. The CarsDirect Dealer(s) listed below will contact you shortly to discuss your request and to provide a quote.